When you’re on a mad dash for a reliable McKinney TX Womens Self Defense Class, it’s imperative that you put your priorities in the right place. Are you starting to realize that you don’t have a plan in place in case you ever get violently approached and you’re forced to to engage in hand-to-hand combat? If you’re dealing with a sudden scenario that requires you to react quickly and decisively, you’ll probably be in a much better spot if you have self-defense experience. 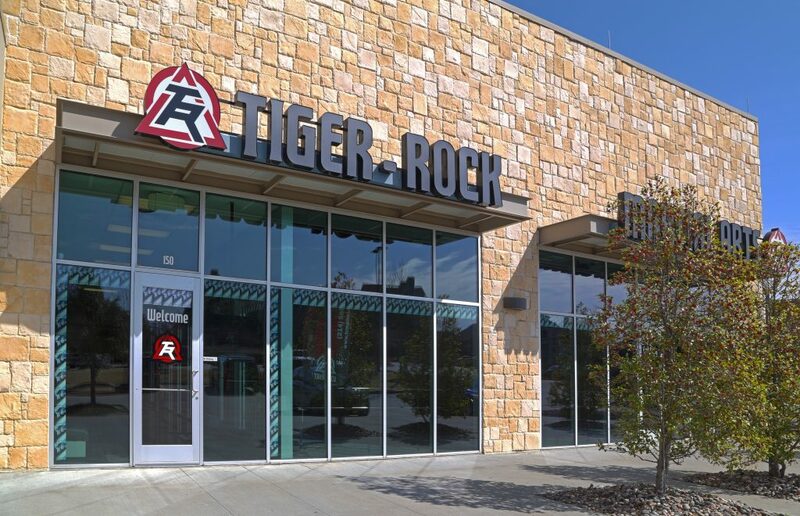 Contact Tiger-Rock Martial Arts in McKinney for more information on how we can help you unlock your full potential. 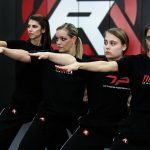 TRMA is one of the premier entities in the world of martial arts. We first started this brand in 1983, and we have continued to develop it as time went on. Today, we are proud to say that we have become the most popular franchise in the industry. With our 100+ locations being located all around the nation, you’ll be able to count on us to support you when you’re looking for help. Are you beginning to feel like it’s time to make the most out of your physical capabilities? Maybe you’re starting to notice that your athleticism and strength just aren’t there anymore. If you are not properly maintaining your cardiovascular health and strength training, you will not see consistent results. Furthermore, it is also important to partake in an exercise that promotes flexibility and motion range enhancements. If you’re beginning to feel your joints stiffen up regularly, we highly suggest trying our McKinney TX Womens Self Defense Class. Many of the exercises that are a part of this program will provide you with a full body workout that pushes every muscle to the limit. Not only will you begin to build your stamina, but you’ll also notice your flexibility improving every step of the way. This will be incredibly important when you start mastering striking and kicking drills. While exercise is a great byproduct of our women’s self-defense classes, it is clear that there’s a higher purpose for this program. Do you work late at night, and you’re tired of walking home in fear five times a week? Perhaps you like to jog early in the morning, but there are suspicious character that you’d rather not cross paths with. These are real issues that real women go through, but criminals and aggressors are unfortunately a real part of all communities. TRMA wants you to have the best possible skills just in case you ever come in contact with someone who’s trying to attack you. Making sure your safety is secured is the most important thing in these scenarios. By joining our dojo, you will have instructors who push you through real life combat simulations that put you in potential circumstances. These hands-on drills are developed so we can give students a taste of what it’s like having to make split-second choices. While nothing can compare to its dangerous, real-world counterparts, we want you to have the experience you’ll need to react in time if this ever occurs. In addition to having physical benefits, did you know that mastering this can really help you develop your mental fortitude? Perhaps it’s been awhile since you’ve really felt accomplished, and you’d like to do something that will help you feel better. If this sounds like you, we’ll provide you with the exercises and training you need. Our instructors are ready develop your mentality and strengthen your psyche. Many people deal with problems of complacency throughout their life, but this isn’t something that lives in our dojos. We require our students to give it their all each and every time they arrive to the dojo to continue honing their craft. You will be placed in a very encouraging, inviting environment, but it will still require a level of commitment and dedication from the student. Make sure you get the most out of our classes by keeping your energy level high and your mind disciplined. Are you someone who likes to compete, but this isn’t something you were able to experience in your younger years? Perhaps your kids are fans of martial arts, and they feel the burning desire to test their skills against worthy opponents. At Tiger-Rock, we promote healthy competition. Sparring against another student of TRMA can help both individuals get better, regardless of who wins or who loses. If you’re ready to partake in nationwide tournaments that are available to our students on a yearly basis, call us for more info. Call Tiger-Rock Today For More Info! Women’s self defense classes are definitely an essential program that belongs in our dojo. However, did you know that we also have programs that are specifically for children? If you have kids and you’re trying to make sure they meld into the martial arts world at a young age, call our dojo. We realize the major benefits of successfully integrating your offspring into a karate program, and we’re here to provide your sons and daughters with instruction. 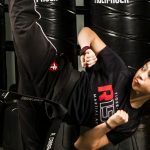 Don’t let your current lack of McKinney TX Womens Self Defense Class get in the way of what you’re trying to accomplish. If you’re ready to start learning how to defend yourself during worst-case scenarios, call Tiger-Rock today for more information. With our team of martial arts masters behind you, you’ll be able to hone your skills and learn exactly how to protect your health. Call us today and get in touch with one of our instructors. We’d be happy to answer any questions you have about our classes and programs. We also have more information about our introductory class bundle! If you want to see whether or not TRMA is the best fit for you, why not try out a few sessions first? Information About Our City: McKinney! The city of McKinney, Texas is a great place in the Lone Star State. Many Texans visit us if they’re ready to take in serene, Southern history and nature. There are an assortment of historical figures and districts throughout McKinney. We pride ourselves on the rich heritage we come after, and we’re eager to remind ourselves of the beginnings of our community. We also have incredibly unique natural attractions. While tree-lined streets may not seem like a big deal to you currently, seeing these in person may completely rock your world. McKinney is a city that has had numerous successful business additions, highly ranked schools, and award-winning neighborhoods over the years. As a result, the rest of America is beginning to take notice of our incredible community.